Happy Hour (Dine In Only): Tues-Fri From 3-6pm - ​3 & It's Free! Buy 3 beers, get a FREE Pizza! Wednesday is FAMILY NIGHT (Dine In Only)! Cheese or Pepperoni Pizzas are only $9! You're only as good as your ingredients! 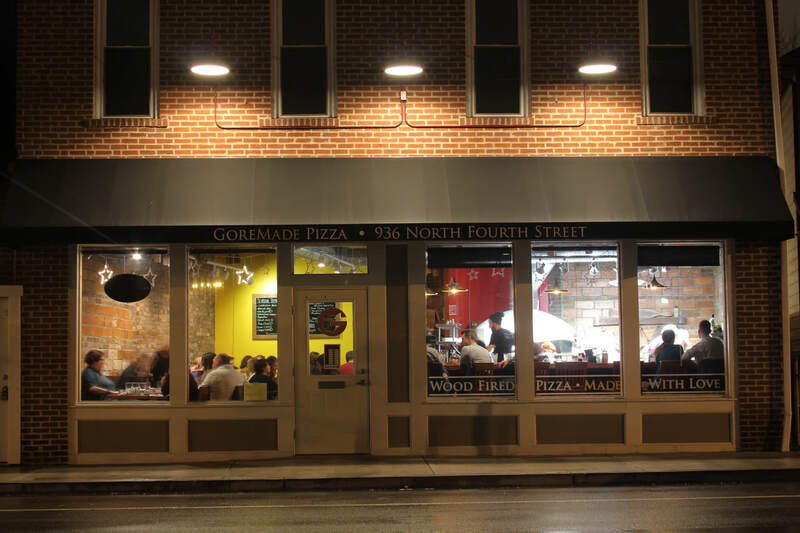 GoreMade Pizza prides itself on sourcing ingredients from local farmer's markets for their wood-fired pizzas and craft cocktails. Stop in and taste the difference of farm-to-table, Neapolitan-style pizzas.